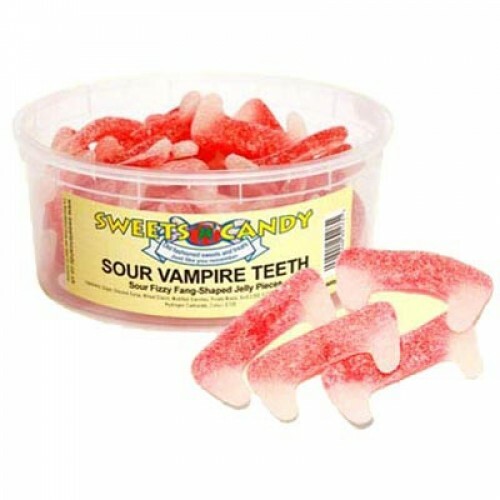 Whether you want your Vampire Teeth sweet or sour, we've got them both. These particular fruity fangs are Fizzy Sour Dracula Teeth. They're just the thing to sink your gnashers into when you're feeling like a little midnight snack! 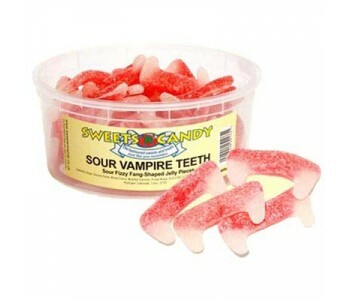 - but be careful, you may get the taste for them and Fangs will never be the same again! - what a treat for Halloween!